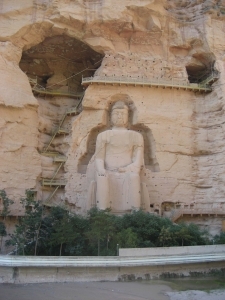 Lanzhou, the capital of Gansu province in northwestern China, is a rather industrial city, but it hosts the Bingling Si Caves, which contain Buddhist artworks from 400 AD on. 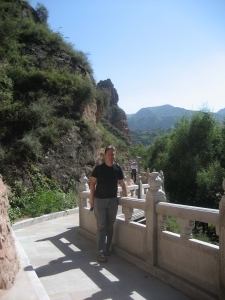 Fortunately the caves are relatively remote, so have not been plundered by passing archaeologists or destroyed by the Red Guard during the Cultural Revolution. 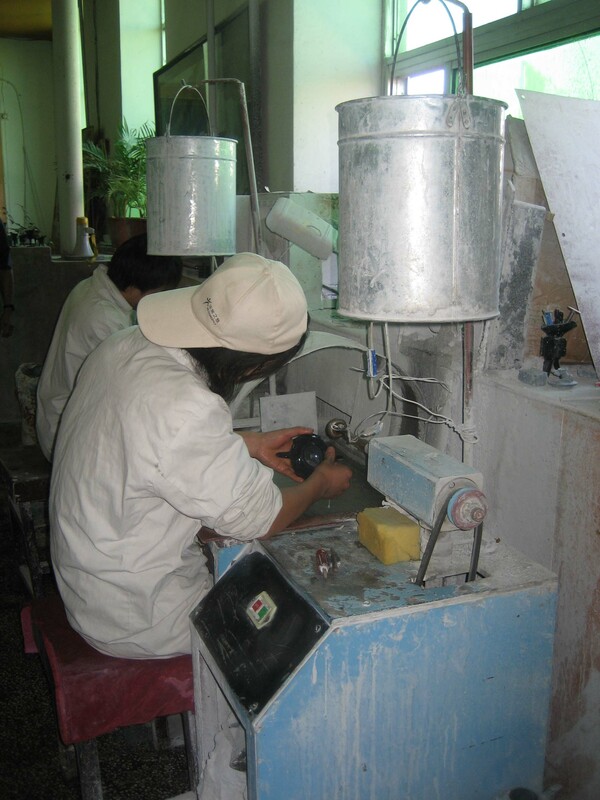 Lanzhou, the provincial capital of Gansu Province, is a rather grimly industrial city in the northwest of China. Smog hangs thick in the air (not helped by the nearby mountains, which help pile the smog up onto the city). 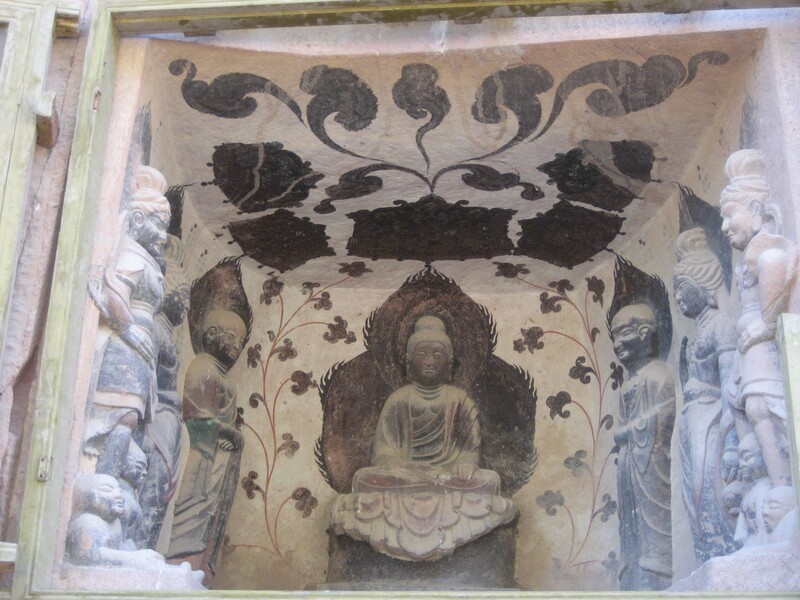 From a tourist perspective, the most interesting thing about the city is the Bingling Si Caves, another set of sandstone-carving caves not unlike the Mogao caves, but on a far smaller scale. 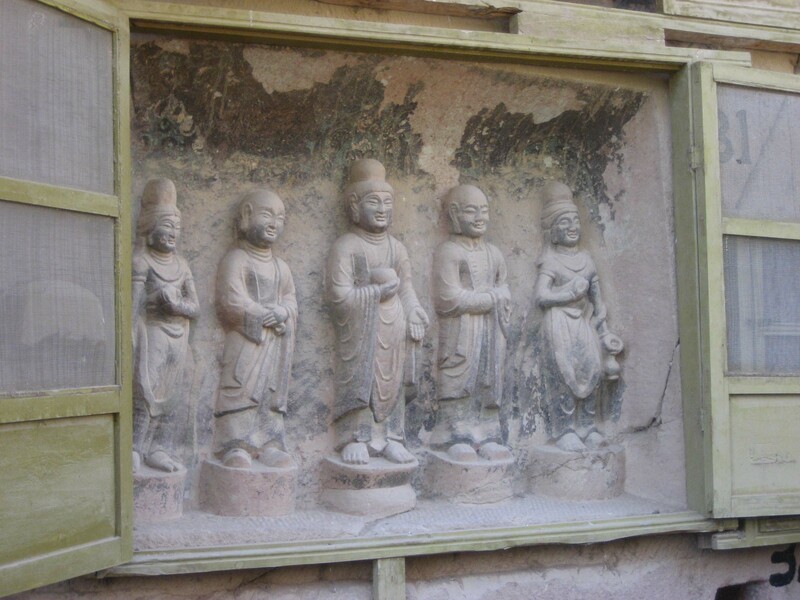 The carved statues are more impressive (to me, anyway) than the painted clay-and-straw statues in the Mogao caves. 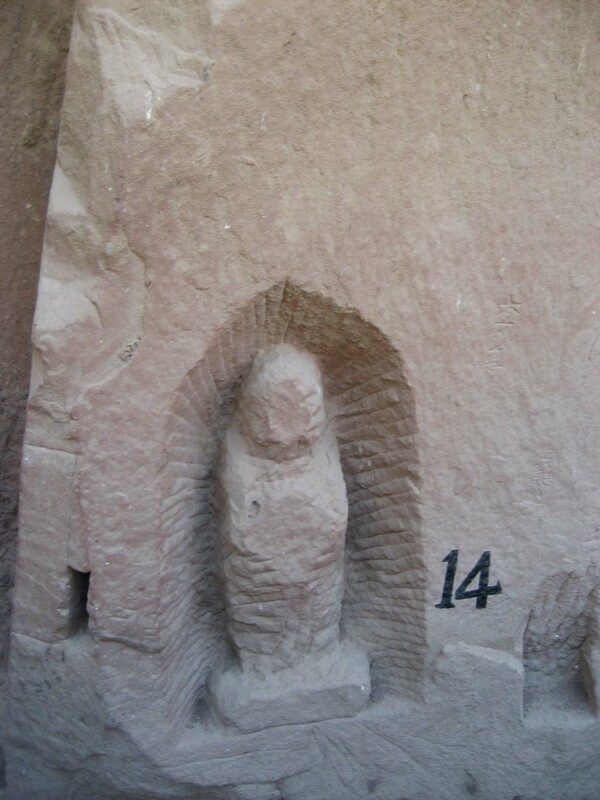 Delicately carved and very permanent-looking, more reminiscent of the wall carvings at Angkor Wat. 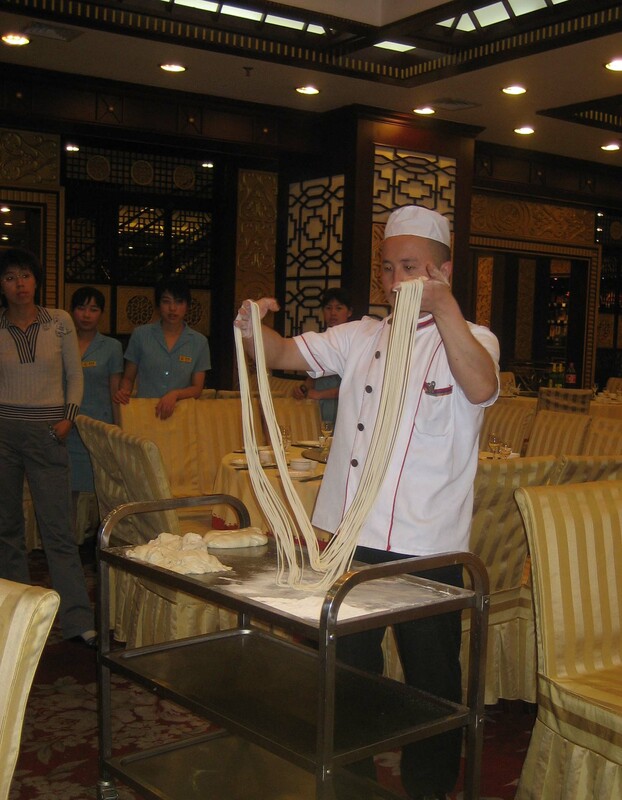 Culinarily, Lanzhou is famous for its hand-pulled noodles, which can be made in any size from broad and flat to ultra-thin. 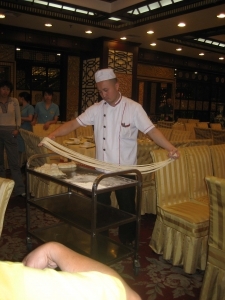 Our restaurant chef boasted that he could even make noodles that were triangular in cross-section! He then proceeded to do so, while demonstrating noodle-making to us. Stone-carving at the Bingling Si Caves. 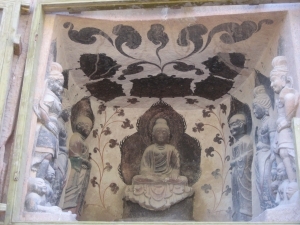 Originally it was painted, but the paint has faded with exposure until it is nearly black. 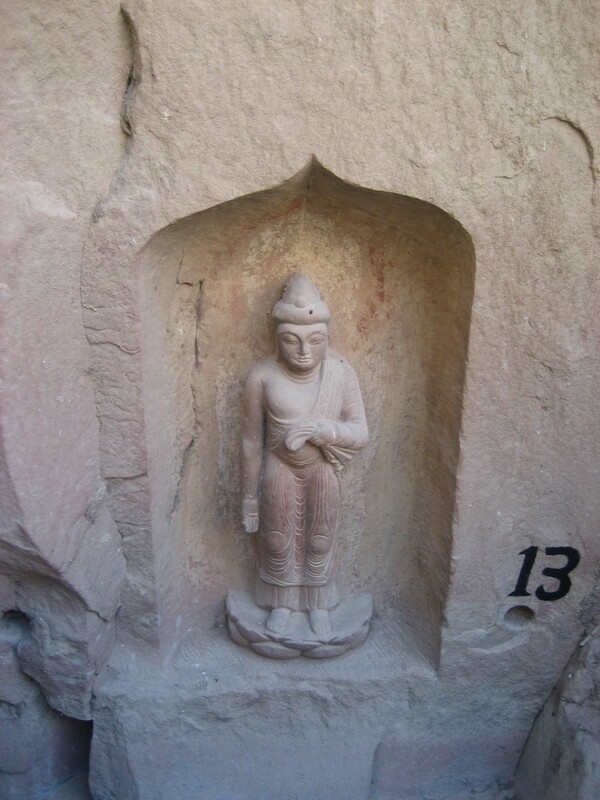 More stonecarvings at the Bingling Si caves. 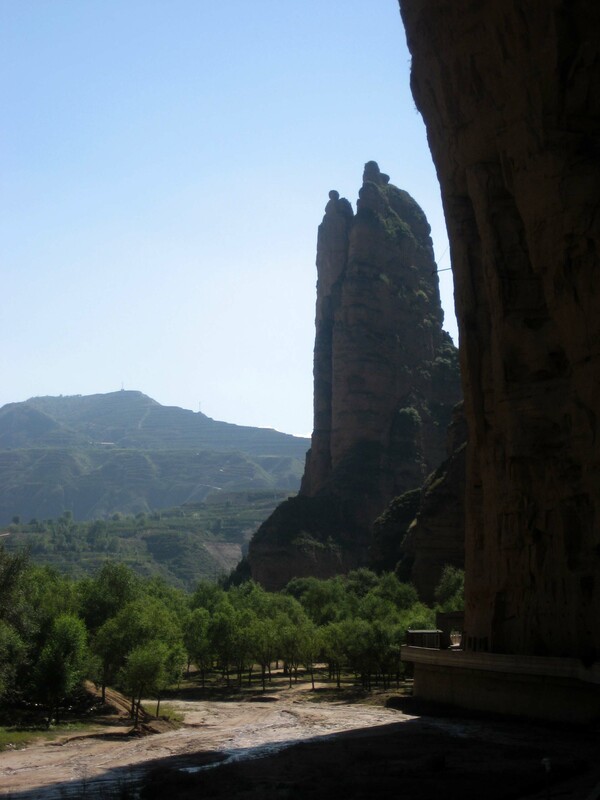 The caves are quite old, dating back to about 400 AD for the earliest ones. The "Two Sisters" stone columns by the Bingling Si caves. Below, the Liujiaxia Reservoir, on the Yellow River. A statue carved into a niche in the sandstone. 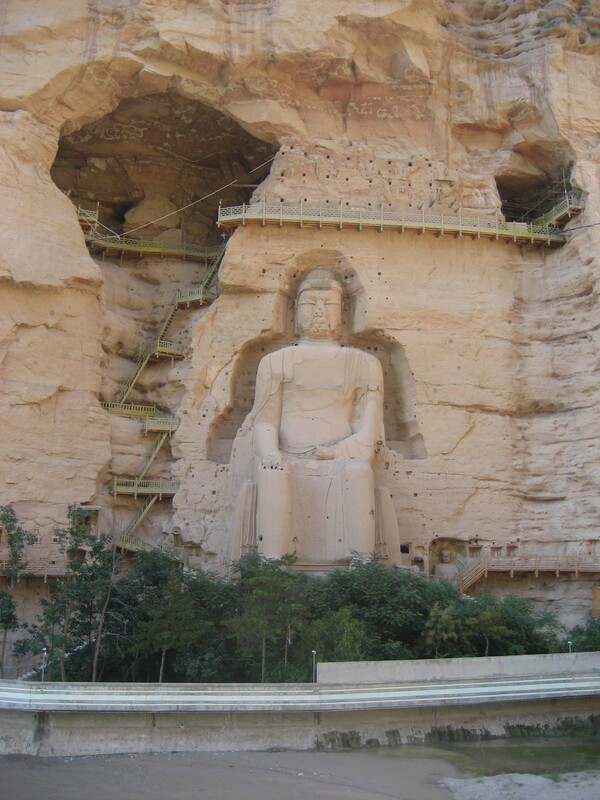 The giant Seated Buddha, about 100 feet high! Mike at the Bingling Si caves. A similar statue, unfinished. Kinda neat to see the unfinished form! Workers carving jade at the jade factory in Lanzhou. 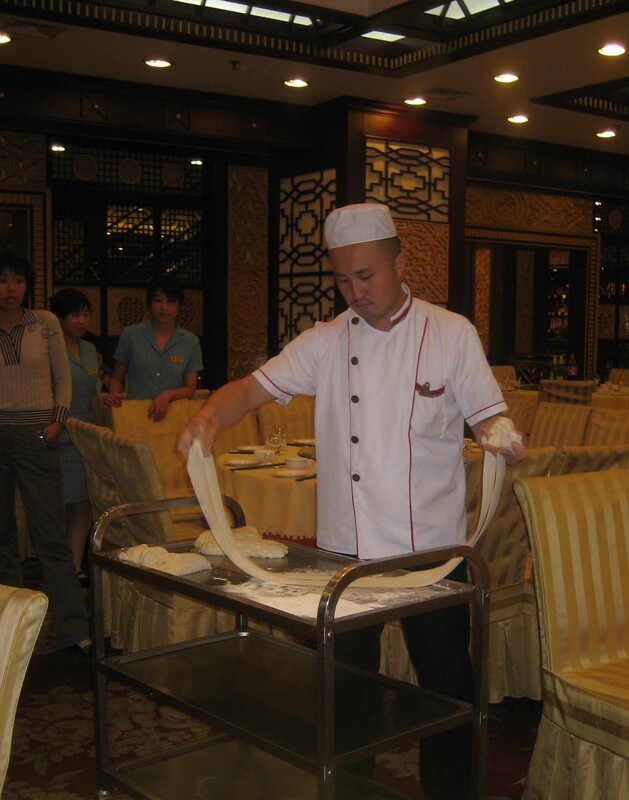 Lanzhou is famous for black jade, an iron-containing jade that is much darker and more temperature-resistant than conventional jade. It seems to be mostly used for carving teacups, wineglasses, etc. Mike and I bought a set. Chef pulling noodles for us at a Lanzhou restaurant. 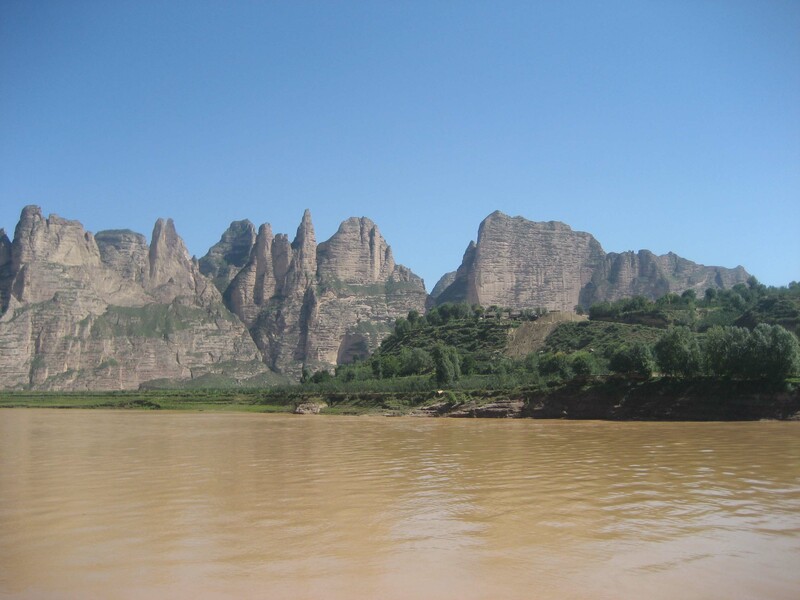 The Yellow River. It's muddy ("yellow") because it flows through loess, and it picks up silt as it goes.